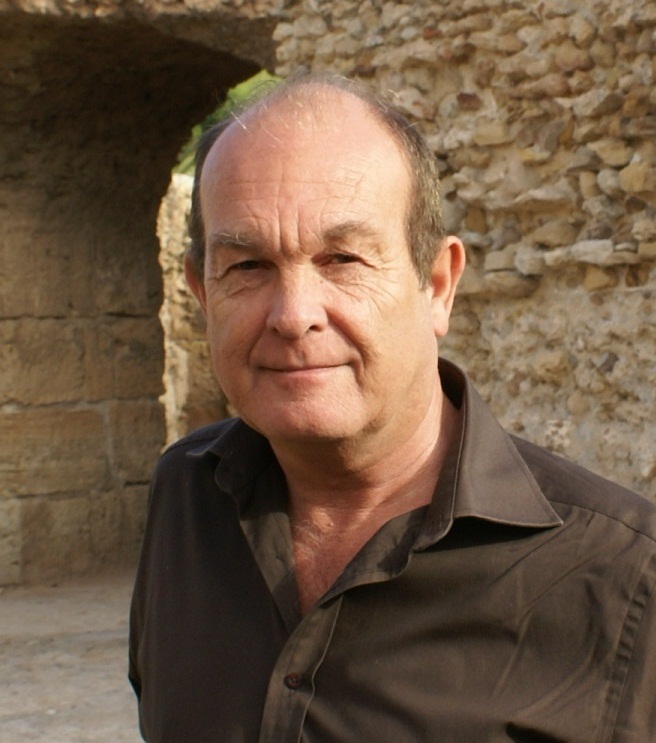 Editor, Professional Photographer and Author of International thrillers, David W Stokes has worked as a broadcast journalist for many years, for Independent Radio News in Northern Ireland, covering all of the major ‘Troubles’ stories. He won a Sony Award for his radio coverage of former US President Bill Clinton’s historic visit to the Province. Currently, he is Group Editor at 4SM, a highly respected and long established publishing company based in Hillsborough, County Down, where it produces a series of trade and business-to-business magazines. Along with his wife Jackie, he has travelled abroad extensively and, as you will appreciate if you pick up a copy of THE ICELANDER, which is set in one of his favourite European cities, Venice in Italy. 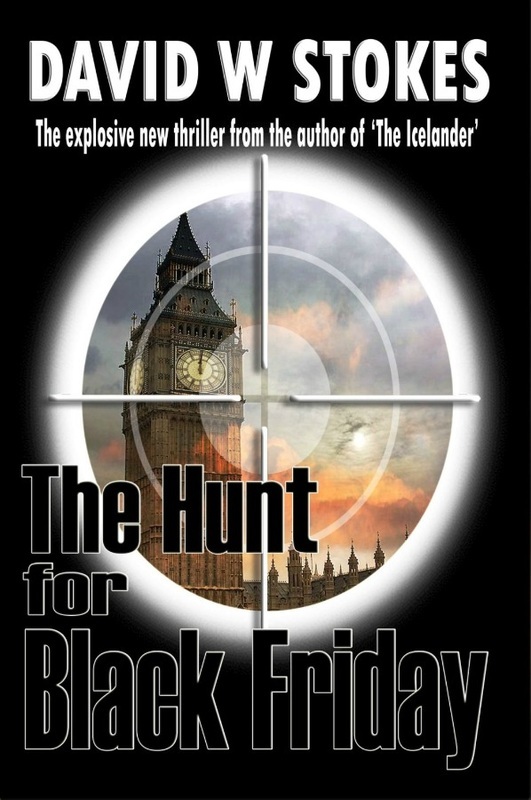 His latest novel is THE HUNT FOR BLACK FRIDAY, again featuring Nick Savvas and Lyndsay Mitchell, first introduced to readers in THE ICELANDER. Does he have any advice for aspiring authors? “Just the usual, I suppose. Never give up. Don’t take rejection lying down. Some of our best known writers were rejected 20, 30, 40 or more times before they eventually ended up in print. A gripping international thriller that is as up to date as tomorrow’s headlines! When on the 2nd of August 2007, two Russian submersibles were sent to the bottom of the Arctic Ocean to plant the national flag on the seabed to reinforce the country’s blanket claim over the oil rich territory, controversy follows swiftly. Four years later, in a seemingly unconnected event, a three strong hit team led by a man known as The Icelander is by chance intercepted in the heart of the Italian city of Venice. What the authorities don’t know is that they are on the way to carry out the assassination of two Norwegian government aides, who are covertly working in their own self-serving interests to upstage Russia’s plans. The gang ends up trapped in Venice’s Doge Palace, and when it is established that one of the terrorists is former IRA bomb maker Seamus O’Callaghan, Nick Savvas, a retired British Army bomb disposal expert, is called in. 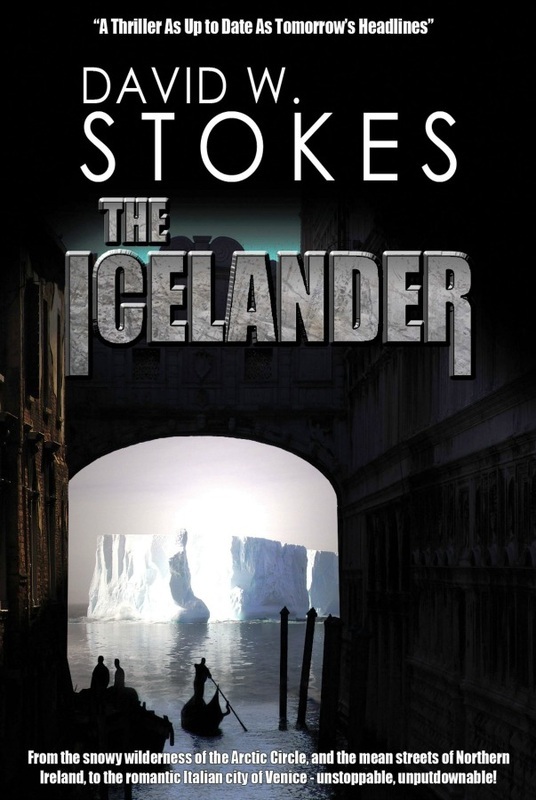 But when it all goes wrong, the Icelander takes matters into his own hands and all hell breaks loose. From the snowy wilderness that is the Arctic Circle, and the mean streets of Northern Ireland, to the romantic Italian city of Venice and the sparsely populated islands of the Venetian lagoon, this is a fast moving story that will grip you to the very last page! She had been young and beautiful once. She’d had her whole life ahead of her until they took it all away in an instant. He had been born with a burning hatred in his heart and lived a cold and loveless life until he had found a reason to exist. When both worlds collided, security agent Nick Savvas found himself in a race against time as a suicidal plot unfolded to tear the heart out of the British Establishment. As journalist Lyndsay Mitchell discovered, a very black Friday was to descend on the House of Lords, and the closer she got to the truth the more dangerous it became for those around her. From the poverty stricken streets of Bogota in Colombia to the halls of power at Westminster and Whitehall, from Ireland’s windswept Cooley Mountains to the pine forests of Tenerife, off the coast of North Africa, THE HUNT FOR BLACK FRIDAY is the explosive follow-up to the international thriller, THE ICELANDER. 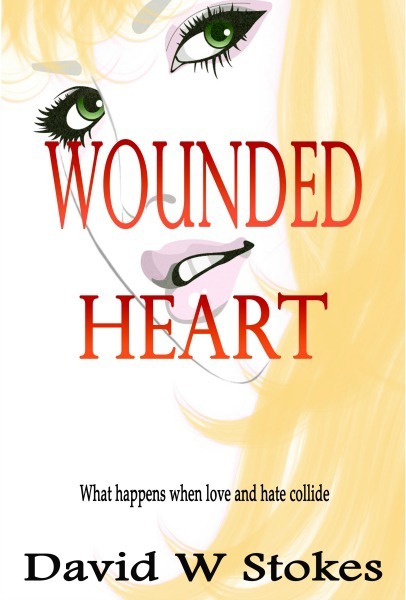 WOUNDED HEART is a contemporary novel of love and friendship, of trust and betrayal and of the complexities of adult life after a childhood of abuse. Set in modern day Dublin, it is the first in a series of three novels that plot the loves and lives of a group of friends during what is a turbulent period for all of them, each facing their own individual family and work related challenges and dilemmas. We meet Euan: he’s 40, has a grand house and no money worries. But he’s a big loser in love. That’s thanks to his wife Vicki. She thought she would love Euan forever - until her dark and secret past catches up with her. She needs to get away from him at all costs, which is great news for neighbour Trish. She’s Vicki’s best friend, but she also has her eyes on Euan and she always gets her man. Euan’s best friend William tries his hand at peace maker. When that doesn’t work, beautiful psychologist Sarah is called on to sort them out. Then one day, events take an unexpected turn for the worst and life is never the same again. Sometimes funny, sometimes sad, sometimes tragic, it is above all else a story of what happens when love and hate collide. The Italian city of Venice is on lockdown ahead of the first official visit by Pope Fabian, but little did he or his security advisors know that dark forces were planning an agenda that would result in mayhem and murder on a scale they had never before encountered. 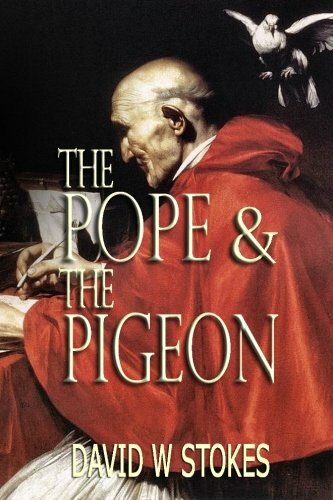 From the cosmopolitan city of Dublin to the historic setting of Venice and Vatican City, this is a gripping, action-packed story that will grab you from the very first page and drag you towards an unexpected climactic ending that will leave you wanting more!